Congress general secretary Priyanka Gandhi Vadra kicked off her party's campaign for the Lok Sabha elections in Uttar Pradesh by offering prayers at the Lette Hanuman temple near Sangam. 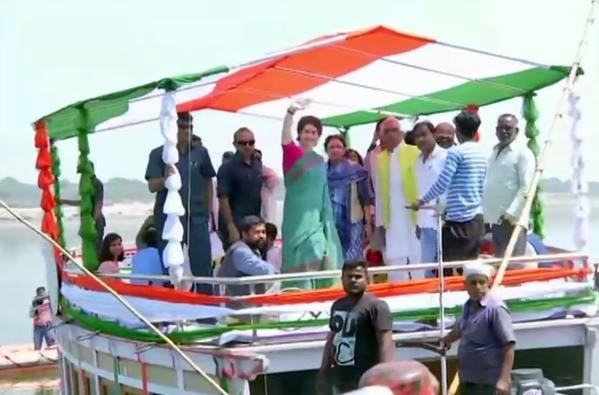 During her 3 days elections campaign, Priyanka will cover a distance of 140 km from her great grandfather and India's first Prime Minister Jawaharlal Nehru's birthplace Prayagraj (Allahabad) to Prime Minister Narendra Modi's parliamentary constituency Varanasi by boat. As part of her campaign tour, Priyanka will also visit Bhadohi and Mirzapur districts. Polling will be held in seven phases in Uttar Pradesh from April 11 to May 19. Results will be announced on May 23.